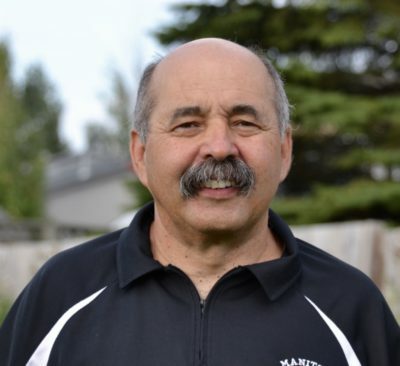 Lacrosse in Manitoba has continued to prosper since the reintroduction of the field game in the 1980s. The players who kept senior box lacrosse thriving in Winnipeg, playing for Elmwood, the North Stars, and the Warriors, became the core players on the national championship field lacrosse teams. 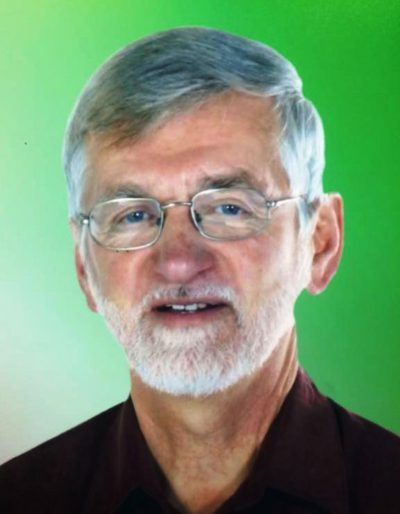 As their active careers came to an end, many of these players opted to dedicate themselves to continuing to grow the game - as men like Tom O'Brien, Ernie O'Dowda, Cliff Hamilton, and Harry Nightingale had done before them. One of the consequences has been that lacrosse is appealing to new audiences and has found a home in new locations, once again beginning to grow roots outside of Winnipeg. One of the most striking changes has been that it is not just men playing the sport. 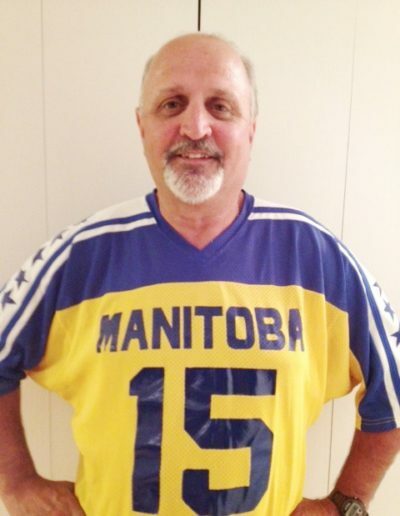 The Manitoba Lacrosse Association was promoting the idea that women should be encouraged to play the game as early as 1975 - with the thought that women's and girls' participation on co-ed teams might change the perception of the game as violent and that women and girls should play with rules that eliminated some of the more physical elements of the male game (as is the case now in ice hockey). It would take a decade before lacrosse became available for women in Manitoba, and then only field lacrosse. Led by a variety of volunteers, it was decided to enter a Manitoba team in the Women's National Lacrosse Championships. The challenge was that there were few experienced female lacrosse players in the province and the assistance of coaches from the US was sought. In 1989 the National Championship was held in Winnipeg at Assiniboine Park, where Manitoba placed second out of four teams after losing to British Columbia in the gold medal match. The silver was Canada's first-ever medal in the tournament. The leading goal scorer for the Manitoba team was Michelle Gisiger, a member of the Canadian national team. Other Manitobans who have played on the women's Canadian National Team include Nancy Reinhold in 1989 and Gaetane Tremblay and Brandie Leach in 1992. In 1991 an identification clinic was held in Winnipeg in order to raise local awareness of the sport and encourage young women to try out the sport. By 1997 there were junior and senior teams in the city as well's as opportunities for girls in grades 5-7 to play lacrosse in school, led in part by local physical educator, Judy Moon. Although this opportunity did not last and, at the moment, women's participation is limited to provincial field lacrosse. The last two decades have also seen a resurgence in lacrosse among Indigenous communities both within Winnipeg and in greater Manitoba. In 1994, the Native Rainbow Club Flying Eagles Lacrosse team was the only aboriginal team competing in lacrosse within the city. The club teams preserved through racist comments and slurs from opposing players and parents to, in 1995, divide into two teams: one comprised of older players named the Flying Eagles and a younger team named the Dare to Be Eagles. The latter won a city championship that year and the senior Flying Eagles won the city "B" championship in 1996. Lacrosse has also become entrenched in Sagkeeng First Nation, where teams have had success locally as well as at the provincial level. A number of Sagkeeng athletes have represented Manitoba at the national level as athletes and as coaches at both the junior and senior level. Moreover, Sagkeeng First Nation continues to this play within the Manitoba High School Lacrosse League. "One of the things I'm most proud of is the schools lacrosse program running out of Elmwood High School. We started with this crew of young 11 and 12 year olds in grade 7 and they played through the whippet years, soft lacrosse years in grades 7, 8, and 9. We got some provincial trophies and eventually those kids wanted to continue playing after high school. It had momentum and not just in Elmwood but other schools that had soft lacrosse so the high school field lacrosse league was formed." In addition to box lacrosse (which in Manitoba is organized exclusively for boys and men), men's field lacrosse, and women's field lacrosse, there is a fourth lacrosse discipline in Manitoba. It is officially known as inter-cross, but is more often called whippet or soft lacrosse. This version of the game has served as an entry point for young players and helped develop an appreciation for the sport while easing kids into the skills required for full field lacrosse. The result has been that boys' field lacrosse has thrived in Manitoba high schools. These are not located solely in Winnipeg, as high schools in other communities also participate, including Powerview/Pine Falls, Sagkeeng First Nation, Portage la Prairie, Springfield, and Beusejour. With these varied groups embracing lacrosse, it is not surprising that minor lacrosse has flourished in Winnipeg and expanded elsewhere in Manitoba. 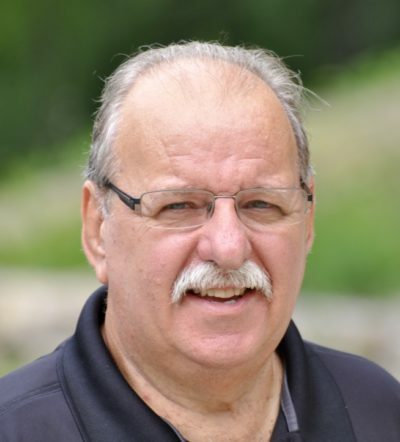 Efforts by Hall of Famer George Sykes re-started lacrosse in Thompson in the mid-1990s and the Thompson Lacrosse Association continues to thrive as one of the areas where lacrosse is popular in the province. Elsewhere, the Portage Junior Trojans lacrosse club offers opportunities to players in Portage La Prairie. Nevertheless, Winnipeg has remained the centre of much of the lacrosse activity in the province. But lacrosse in Manitoba was still centralized in Winnipeg. A reorganization took place in the 1990s that shifted organization and administration away from community centres, some of which had served as particular hotbeds for lacrosse (Kelvin and Boyd Park, for example) but which had failed to spread the game across the city. Instead, Winnipeg Minor Lacrosse divided the entire city into four zones - represented by the Falcons, Shamrocks, Sidelinders and Griffins - each of which had teams at different age levels. A similar system was retained with the creation of the Prairie Lacrosse League (2000-2006), Winnipeg Manitoba Lacrosse Association (2007), and now the Red River Lacrosse Association (RRLA: 2008-present). One of the hallmarks of these recent efforts has been the expansion of Winnipeg lacrosse to communities beyond the perimeter highway. The RRLA has clubs playing in leagues ranging from tykes (under 8) to junior (17-21), with the Falcons, Shamrocks, Sidelinders and Griffins joined by the Wizards, which serves players from rural Manitoba towns such as Selkirk, St. Andrews, St. Clements, the RM of Brokenhead, Garson, Tyndall, Sakgeeng, Powerview/Pine Falls, Lac Du Bonnet, and Pinawa. All of this activity has served to develop talent for the provincial programs run by the Manitoba Lacrosse Association (including the women's field lacrosse program noted earlier). 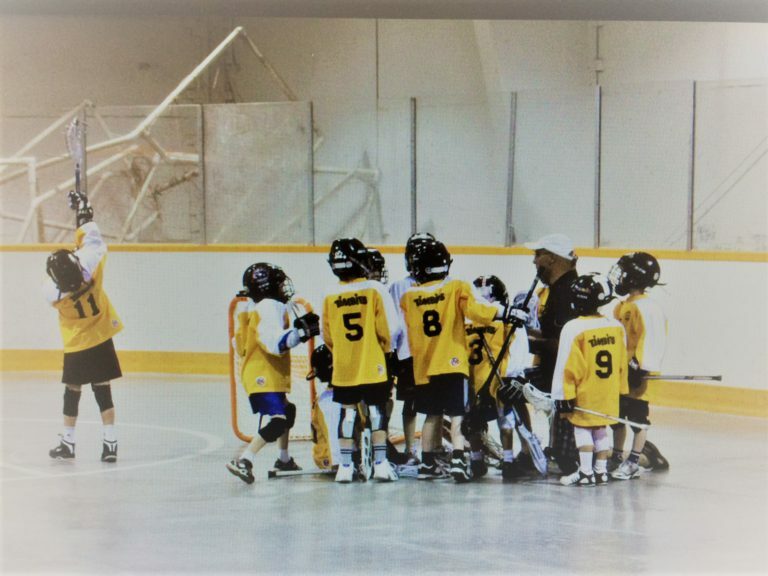 Provincial box lacrosse teams have had success at the national level in recent years, winning Canadian championships in Midget B (2009), Pee Wee B (2010), and Bantam B (2011). Despite this, senior box lacrosse - so long the hallmark of Manitoba lacrosse - has faltered in recent years, with no teams participating nationally in either Division I or Division II. While similar to the men's game in its basic outline, women's field lacrosse has its own rules and structure. Not unlike the differences between men's and women's ice hockey, women's field lacrosse restricts the level of physical contact in the game. This is reflected in the equipment the players use, as women do not wear the protective equipment (including helmets, mouth guards, gloves, shoulder pads, elbow pads) that men do. The stick used by women is shorter than the men's stick and do not have deep mesh pockets, which makes stick-handing and shooting more challenging. This, combined with the fact that women's field lacrosse teams have more players (12 vs. 10) and play on a slightly larger pitch than the men, creates what the former executive director of Manitoba Lacrosse, Laralie Higginson, calls "more of a free flowing game."